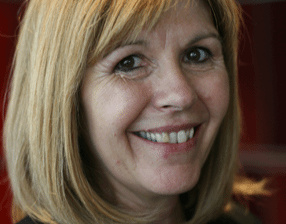 Maggie Philbin has worked in radio and television for over 30 years on a wide range of science, medical and technology programmes. She is co-founder and CEO of TeenTech CIC, an award-winning organisation helping young people, their parents and teachers understand more about the real opportunities in science and technology. In 2012, she was awarded an honorary doctorate in technology from De Montfort University, recognising her “outstanding contributions to the intellectual and cultural life of the nation and region” and for “bringing about a greater understanding of and interest in science and technology”. Currently reporting on science and technology for the BBC’s Bang Goes The Theory, providing analysis and comment on technology for BBC Webwise and a regular reporter on BBC 1’sInside Out, she has a unique resonance with audiences, having grown up with them on much-loved shows such as Swap Shop and Tomorrow’s World.